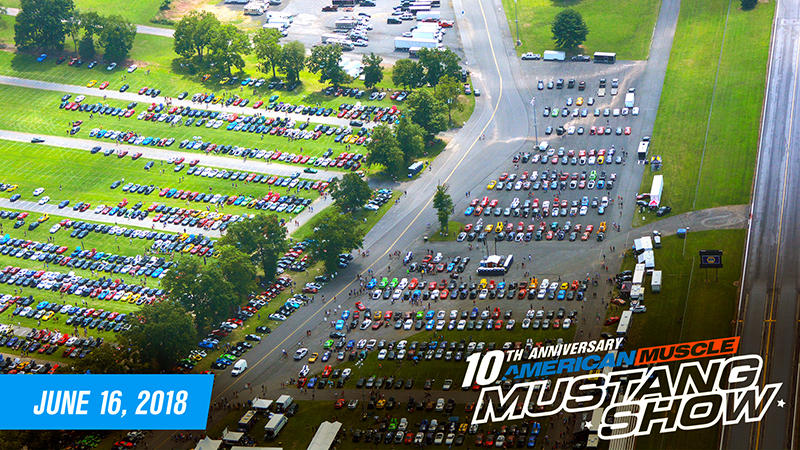 PAOLI, Pa. - AmericanMuscle.com has just announced the date for its 10th annual Mustang Car Show. 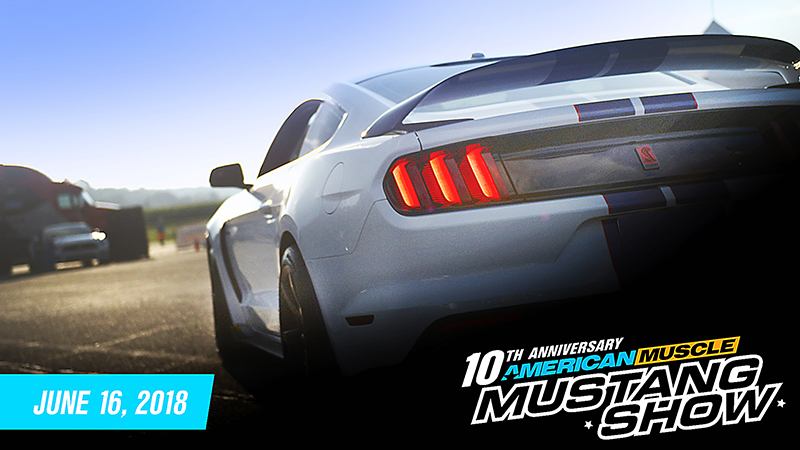 On Saturday, June 16, 2018, AmericanMuscle.com will host AM2018 at the Maple Grove Raceway in Mohnton, Pennsylvania. A rain date is scheduled for Saturday, June 23 in the event of inclement weather. The AmericanMuscle Mustang show is the nation's largest one-day Mustang show and has raised funds for various charities since its inception. Philadelphia's Make-A-Wish(r) Foundation has been the charity of choice for the company since 2015. 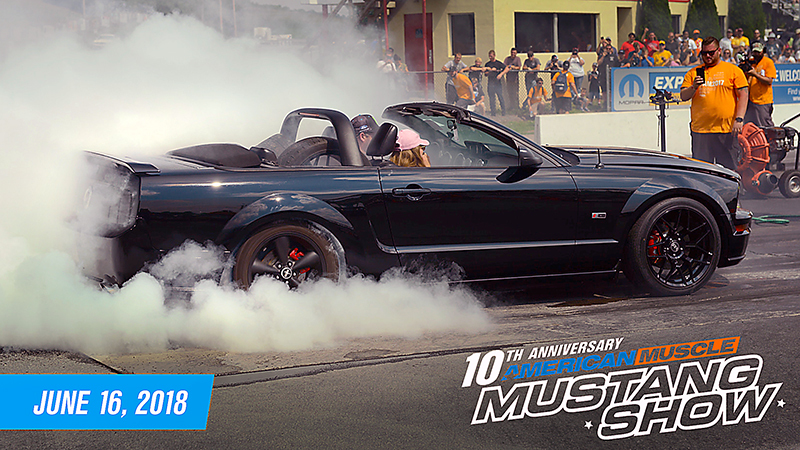 Thousands of Mustang enthusiasts converge on Maple Grove's fairgrounds to share their interest in the Mustang brand and participate in activities such as burnout competitions, revving contests, drag racing, show and shine and more. A variety of AmericanMuscle product experts and vendors will be on hand to answer technical questions and meet with attendees. "It's been really incredible to see this event grow over the years. People travel from all over to take part in this event, and it's exciting for us to see the enthusiasm and the passion they have for the Mustang brand," said Stephanie Wood, AmericanMuscle.com video host. The event has been held in August for the past nine years but has been moved up to June for 2018. This year, AmericanMuscle.com will again raise money for Make-A-Wish(r). Favorite events such as the burnout and revving competitions will be returning for the 10th annual show. Special guest Chip Foose of Velocity TV's show Overhaulin' will be in attendance signing autographs. General car pre-registration is $25, VIP car registration is $75 and day-of car registration is $35. Additional details can be found at https://www.americanmuscle.com/am2018.